AFL: Caught up in the fallout of the Lachie Whitfield drug scandal, the Brisbane Lions are bracing for a major shock to its player welfare system. Welfare manager and former player Craig Lambert is reportedly set to be offered a 12-month ban by the league for bringing the game into disrepute while still working at the GWS Giants. Lambert and former GWS football boss Graeme Allan, who has returned to Collingwood, have faced accusations of hiding Whitfield at Lambert's home in May 2015 to avoid drug testers. 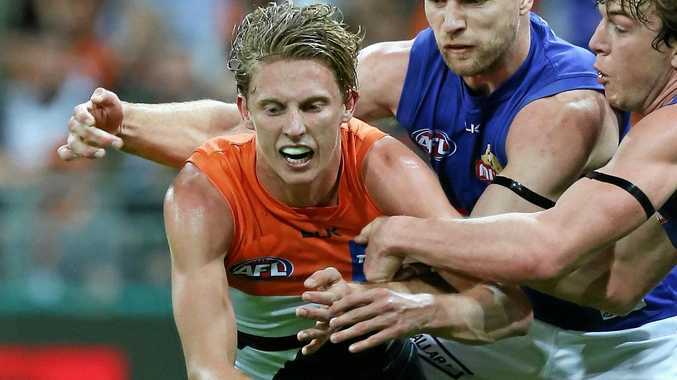 The Giants wingman is likely to accept a six-month ban if charged with breaching the AFL's illicit drug code, although with the ban to start immediately, he would only miss eight games. Whitfield, Lambert and Allan all face the prospect of serving four-year suspensions from the Australian Sports Anti-Doping Authority if they do not deal with the league. It is believed the league wants a response from Lambert, Whitfield and Allan before the AFL Commission meets on Tuesday. Lambert and his wife Mel, were key to allowing the Giants to hang on to so many of its young stars in the club's formative years and are both now integral to supporting the young Lions. Lambert reportedly told Lions officials he did not notify them to the Whitfield issue when rejoining the club at the end of 2015 as he believed the matter had been dealt with. An independent barrister enlisted by GWS to review the case was said to have found no breaches of the league's illicit drugs policy.